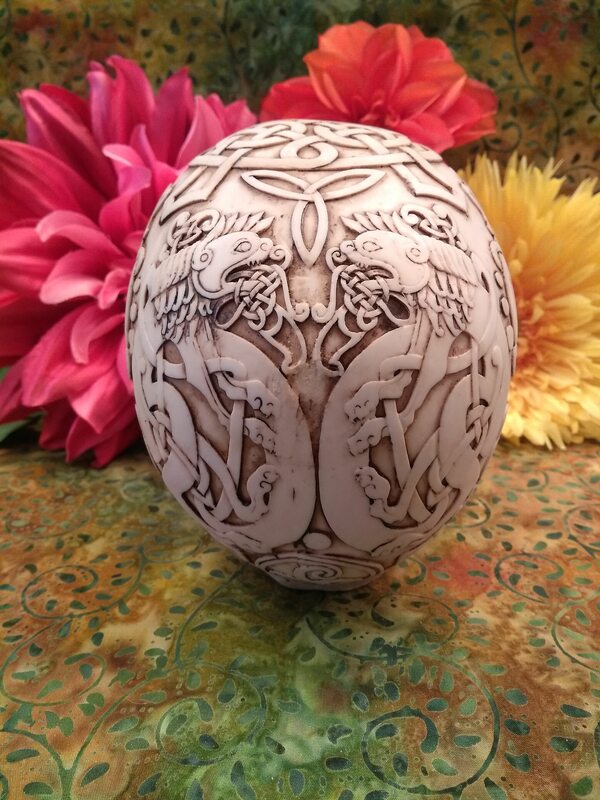 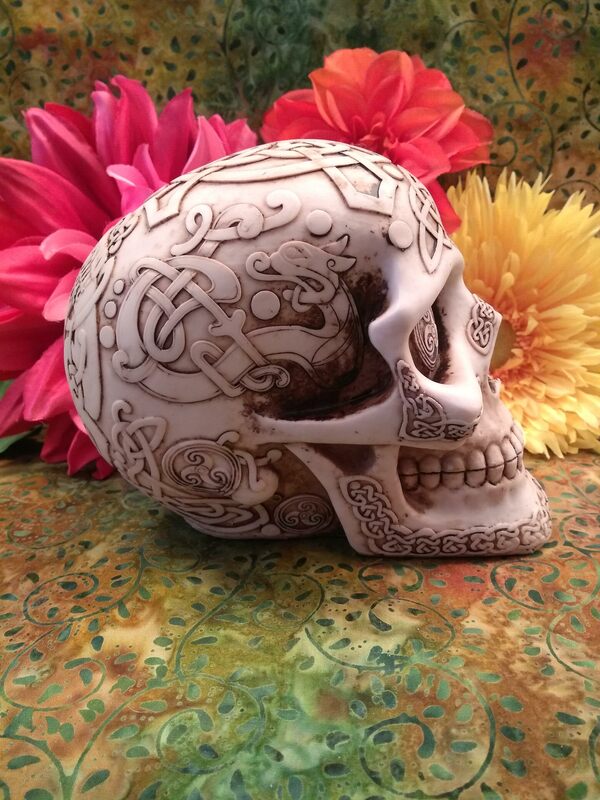 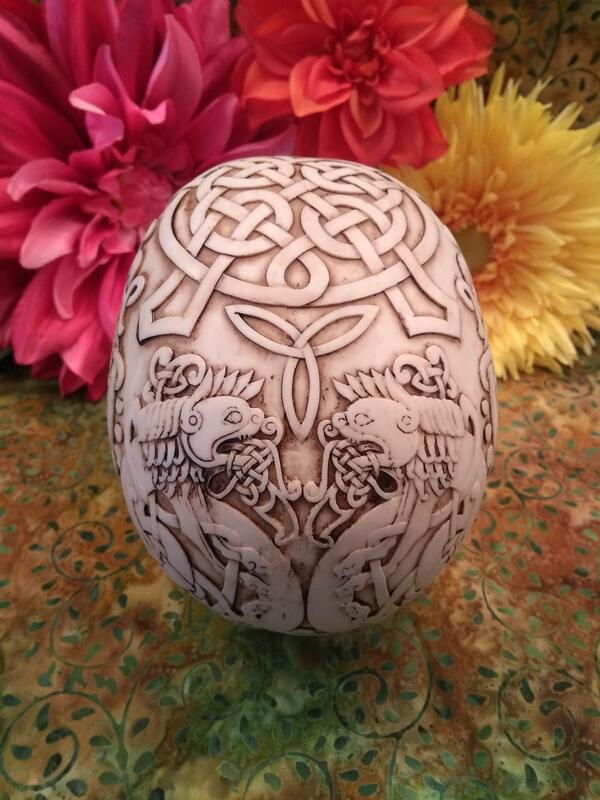 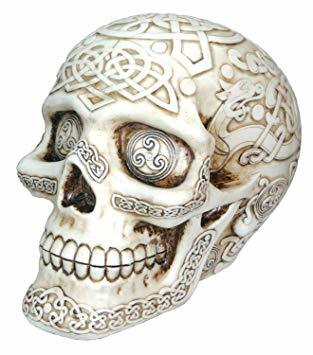 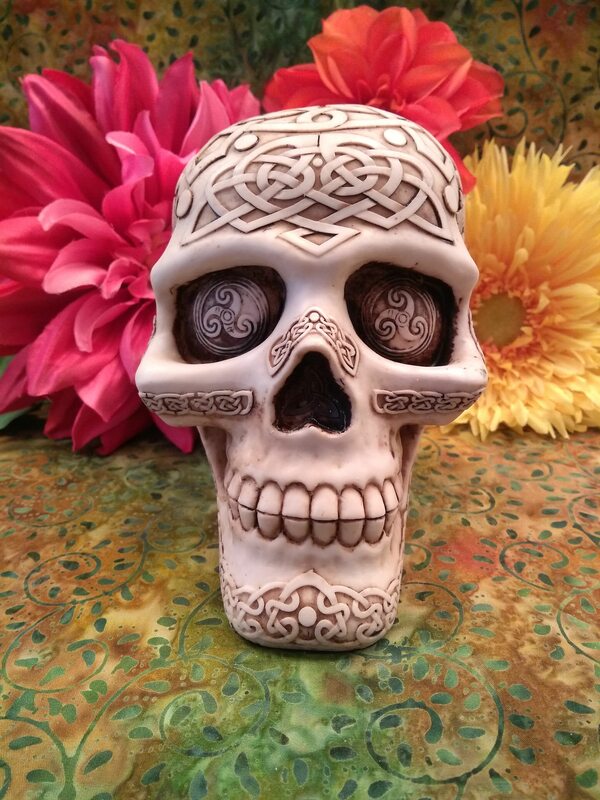 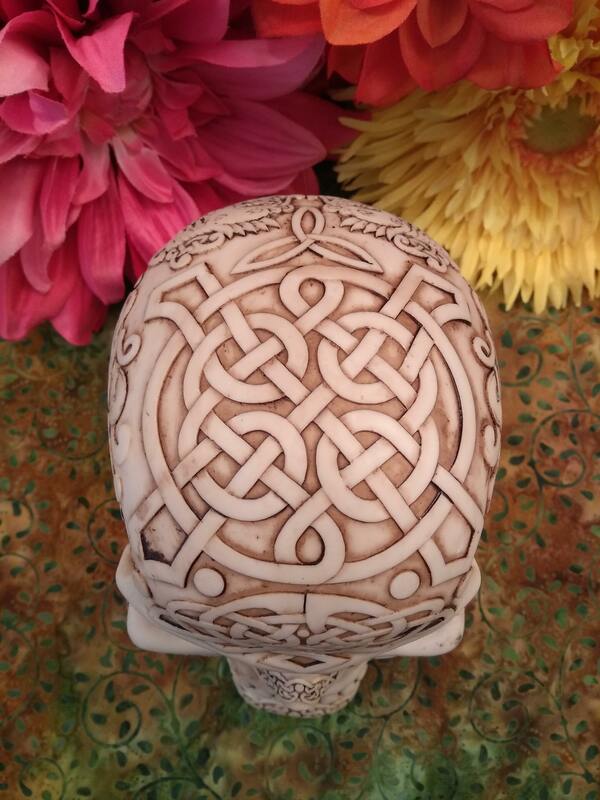 Beautifully designed and detailed skull covered in carved Celtic symbology. 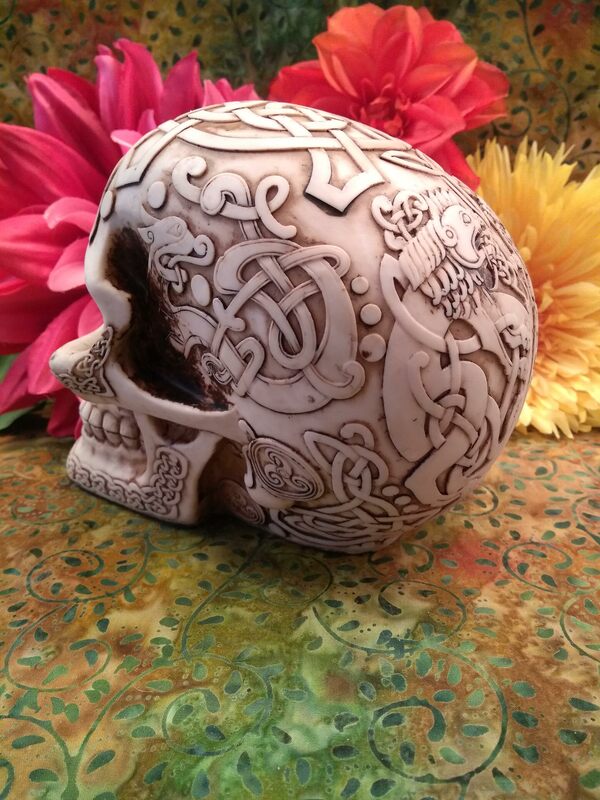 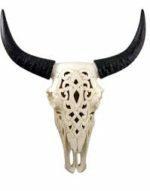 Triskeles, triquetras, celtic knots and Celtic style creatures adorn the skull. 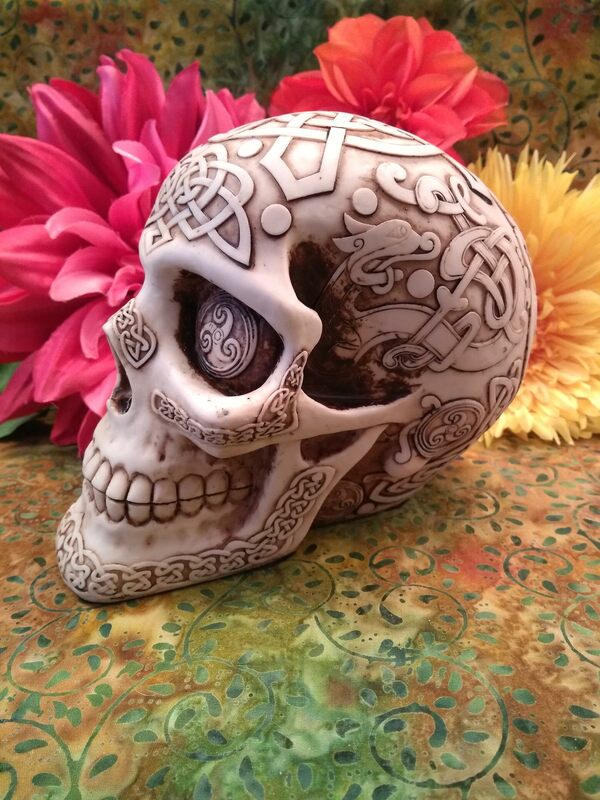 The eye sockets are inlaid with triskele discs. 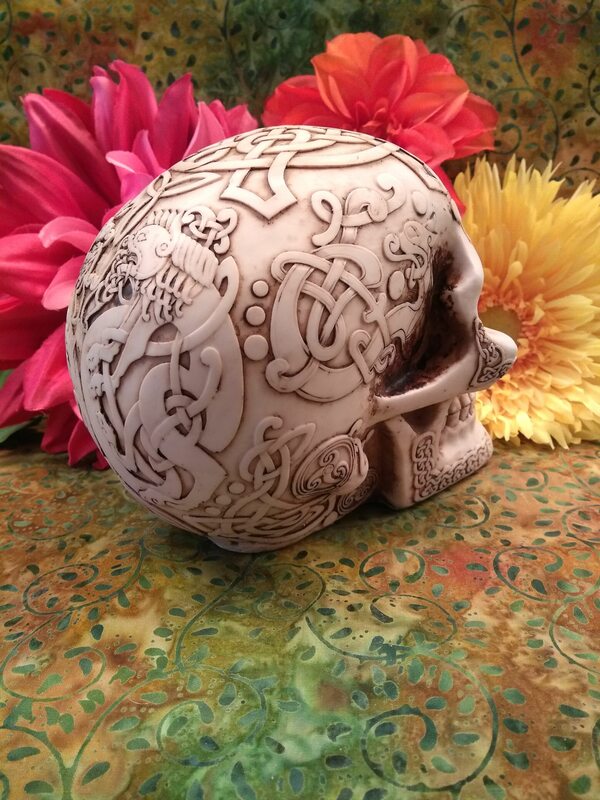 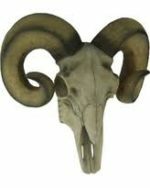 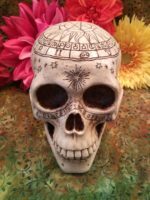 Overall the skull measures 6.5″ long, 4.5″ wide and 5″ tall.